Per his military service record (regimental no. 5403), Daniel Lynch was born at Orange, N.S.W. He gave his age as 44 years and 3 months (although he appears to have been much older), his marital status as married, and his occupation as telegraph linesman. His description on his Certificate of Medical Examination was height 6 feet 2 inches tall (so he was one of the tallest of the Coo-ees), weight 12 stone, with a fair complexion, blue eyes, and dark hair. His religious denomination was Roman Catholic. He claimed that he had no previous military service. He completed his medical examination on 16th October 1915 at Wellington (while the Coo-ees were at Wellington), and was attested by Captain Nicholas at Stuart Town on 19th October 1915. He was named (as “Lynch, D”) in the Wellington Times as one of the men who enlisted with the Coo-ees at Wellington. Whilst at the Liverpool Camp Private Lynch was charged with using obscene language to an NCO. He was fined 1 Pound. He was also absent without leave from the Liverpool Camp from the 18th to 31st January 1916, and from 1st to the 8th February 1916, a total of 22 days. Private Lynch was involved in hearing at the Central Police Court on 25th January 1916, followed by a court case on 6th March 1916 at the Darlinghurst Quarter Sessions, in which another Coo-ee was charged with, and subsequently found guilty of, having assaulted him at Central Railway Station about midnight on January 16th 1916, and robbed him of two pounds. Private Lynch was transferred to 17th Reinforcement for the 13th Battalion in early 1916. On his embarkation roll his address at time of enrolment was Percy Street, Wellington, N.S.W., and his next of kin is listed as his wife, Mrs M. E. [Mary Ellen] Lynch, at the same address. 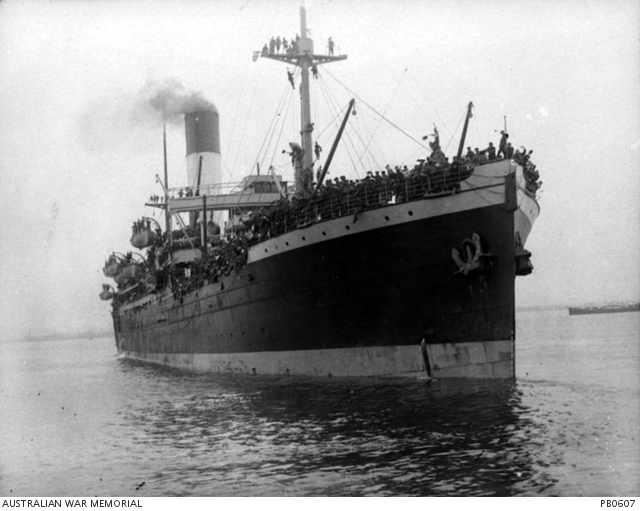 On 9th April 1916 Private Lynch departed Sydney on the HMAT Nestor A71 (along with several other Coo-ees), bound for Egypt. On the 5th of June 1916 he was admitted to the 3rd Australian General Hospital at Abbassia, Egypt with injured ribs. He was discharged on 20th June 1916. On 2nd August 1916 Private Lynch was charged with being absent without leave from 1700 parade at Tel-el-Kebir. He was awarded 3 days field punishment number 2. On 6th August 1916 Private Lynch departed Egypt bound for England aboard the Transport Megantic. On 22nd September 1916 Private Lynch departed the 4th Training Battalion in England bound for France. He marched into the 4th Australian Division Base Depot at Etaples, France, on 24th September 1916. A few weeks later, on 15th October 1916 Private Lynch was admitted to the 26th General Hospital at Etaples, France, suffering Rheumatism. On 23rd October 1916 Private Lynch was placed aboard the Hospital Ship Stad Antwerpen at Boulogne, for transfer to England. He was admitted to the Western Heights Military Hospital at Dover later that day. On 30th October 1916 Private Lynch was transferred to the 3rd Australian Auxiliary Hospital at Dartford, England, with Myalgia. A Medical Report of an Invalid form dated 1st November 1916 at this hospital in his service record listed his ‘true age’ as 51 years. (If this was his correct age at that time, it means he would actually have been about 50 years of age when he enlisted with the Coo-ees). On 12th November 1916 Private Lynch was discharged and marched into the Number 2 Command Depot at Weymouth, England. On 12th March 1917 Private Lynch was charged with being absent without leave in London from 2nd March 1917 till apprehended by the Military Police on 8th March 1917. He was awarded 7 days confined to barracks and fined 7 days pay. On 17th March 1917 Private Lynch departed England from Plymouth aboard the H.T. Beltana bound for Australia, for discharge over age and debility. He arrived in Sydney on 15th May 1917. Private Lynch was discharged medically unfit on 11th June 1917. Per his military service record (regimental no. 2043), David James O’Rourke was born at Mudgee, N.S.W. He gave his age as 18 years and 4 months [though he was much younger], his marital status as single, and his occupation as labourer. His mother Mrs Harriet Ann Lonergan signed the consent of parents or guardians section on his initial Application to enlist in the Australian Imperial Force form. His description on his Certificate of medical examination was height 5 feet 8 inches tall, weight 155 lbs., with a fair complexion, brown eyes, and auburn hair. His religious denomination was Roman Catholic. He completed his medical examination at Wellington on 18th October 1915 (when the Coo-ees were at Wellington), and was attested by Captain Nicholas at Stuart Town on 19th October 1915. He claimed he had no previous military service. After completing the march he went to Menangle Park Camp as reinforcement for the 1st Light Horse Regiment. On 1st June 1916 he was reallocated as a reinforcement for the 12th Light Horse Regiment. On his embarkation roll his address as time of enrolment was Arthur Street, Wellington, N.S.W., and his next of kin is listed as his mother, Mrs Harriet Ann Lonergan, at the same address. 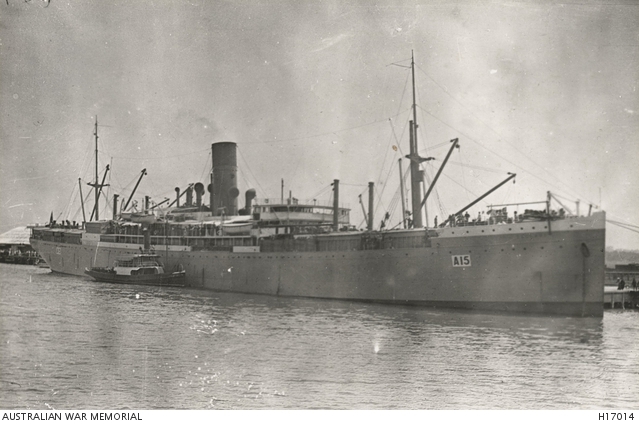 Trooper O’Rourke departed Melbourne on the HMAT A6 Clan Maccorquodale on 19th September 1916, with the 13th Reinforcements for the 12th Light Horse Regiment. He arrived at Suez, Egypt, on 19th October 1916. The next day, Trooper O’Rourke was sent to the Isolation Camp at Moascar. On 12th November 1916 he marched into the 2nd Light Horse Training Regiment at Moascar. On 24th February 1917 he was transferred to the 4th Light Horse Training Regiment. On 15th March 1917 he was taken on strength of the 12th Light Horse Regiment whilst it was conducting training at Ferry Post, Egypt. The following month, he was with the 12th Light Horse Regiment when it was involved in the Second Battle of Gaza 17th-19th April 1917. On 26th August 1917 Trooper O’Rourke was detached to conduct guard duties at Khan Yunis. On 29th August 1917 he was sent to the 65th Casualty Clearing Station with a septic throat. On 6th of September 1917 he was transferred to the 24th Stationary Hospital with tonsillitis. On 10th September 1917 he was admitted to the 14th Australian General Hospital at Abbassia, Egypt, with tonsillitis. Trooper O’Rourke was discharged from hospital on 1st October 1917, and marched into the 2nd Light Horse Training Regiment on 2nd October 1917. He rejoined the 12th Light Horse Regiment on 25th October 1917 when it was at Fara, preparing for the Battle of Beersheba. 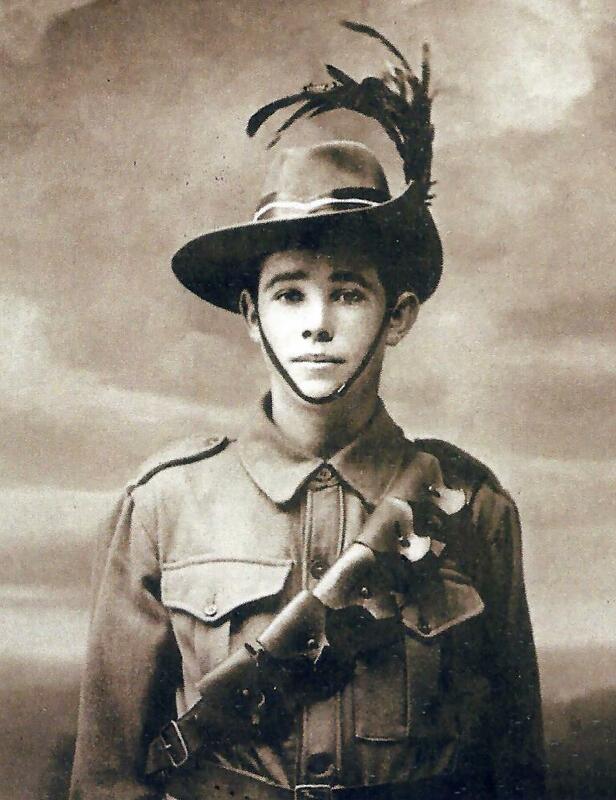 Trooper O’Rourke was with the 12th Light Horse Regiment when it participated in the Charge of Beersheba on 31st October 1917. Casualties for the 12th Light Horse Regiment were reported in the Regiment’s War Diary the next day as as 20 men killed, 19 men wounded, 44 horses killed, and 60 horses wounded. The Wellington Times reported that his mother Mrs H. A. Lonergan was ‘in receipt of a cable from her son, Trooper David O’Rourke, stating that he had gone safely through the recent big battle in Palestine, and was quite well’, and that Trooper O’Rourke was ‘only 18’. On 2nd April 1918 the 12th Light Horse Regiment was at Jaffa where Trooper O’Rourke was part of a watering party, leading three horses, when a horse in front of him kicked him in the left knee, which caused a contusion of the femur & tibia with much swelling. Trooper O’Rourke was sent to 4th Light Horse Field Ambulance, then on 3rd April 1918 to the 43rd Stationary Hospital. On 5th April 1918 he was moved to the 44th Stationary Hospital at Kantara. On 6th April 1918 he was transferred to the 14th Australian General Hospital at Port Said. On 12th June 1918 Trooper O’Rourke was discharged from hospital, with a Medical Board classification of B3, due to his injured knee. On 19th June 1918 he was assigned to duties at the Depot Stores at Gezira. On 16th September 1918 Trooper O’Rourke was admitted to the 31st General Hospital at Cairo sick. He was transferred to a Convalescent Hospital at Helouan on 12th December 1918. He rejoined the Depot Stores on 25th January 1919. On 2nd August 1919 Trooper O’Rourke departed Kantara, to commence his return to Australia aboard the H.T. Delta. He arrived in Australia on 3rd September 1919. The Freeman’s Journal reported on 11th September 1919 that his mother Mrs T. Lonergan ‘has received word that her son, Trooper D. J. O’Rourke, was expected to arrive at Melbourne this week. Trooper O’Rourke was one of the youngest members who left with the Coo-ees, being only sixteen years and four months when he enlisted. He went over with 12th Light Horse and saw 4 years service with them in Egypt and Palestine. He came through all the engagements safe and sound, though he had some narrow escapes, his horse being shot from beneath him on one occasion’. He was discharged Termination of Period of Enlistment on 19th October 1919. AWM4 10/17/9 – October 1917, Australian Imperial Force unit war diaries, 1914-18 War, 12th Australian Light Horse Regiment.